HOUSTON (KTRK) -- Part of 610 that had been closed for hours overnight is now open at FM-521 Almeda Road. The police investigation into a possible drunk driving accident that left two men dead is now clear. 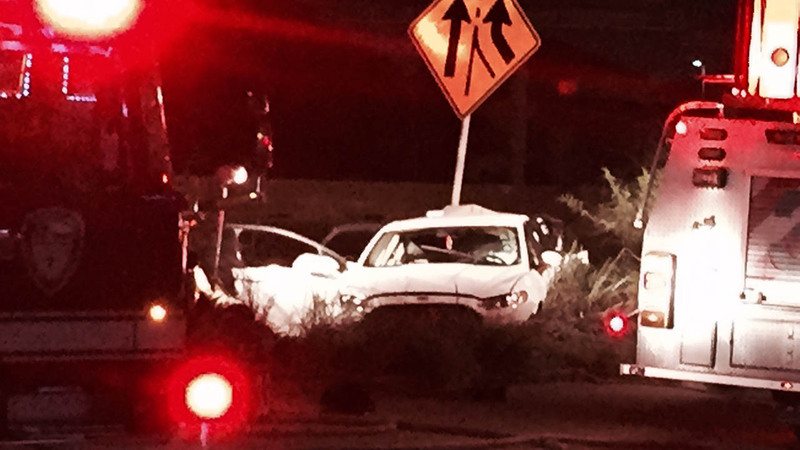 The wreck happened in the eastbound lanes at Kirby Drive in southwest Houston just after midnight Thursday morning. Police say a white Ford Fusion was stopped in a moving lane of traffic on the loop, when a black Dodge Durango slammed into the car. Investigators believe the driver of the Durango may have been intoxicated. The passenger of the white car died on scene. The man driving the Ford was rushed to the hospital where he later died. It's unclear why the car was stalled. "The driver of our striking vehicle is being evaluated by our DWI task force at this time," said Sgt. James Roque with the Houston police department.